We found the Best Readers of the School of Magic! 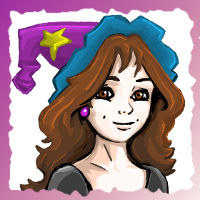 You can find out who these magnificent sorcerers are on the contest page. Congratulations to all the participants! Even if you have not been one of the happy winners, the most important thing is that you know how important it is to read a book. A book is a window to a new world, to another way of thinking. The adventure of reading is a journey from which you will always come out enriched. We kindly ask the winners to check their email in order to know how to receive the prizes. 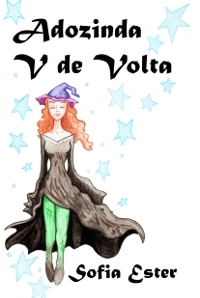 Happy Readings for all Wizards! The best readers win prizes! "Today I will present you a new book with a magnificent story. It is a very special book, for it is a book that reflects your personality." "Is it an heavy book Professor?" timidly asked a frail looking student with a big bag, almost as big as she, by her feet. "I know you already carry a lot of books to school. This book in particular will not add a gram to your backpacks" reassured Zulmiro. 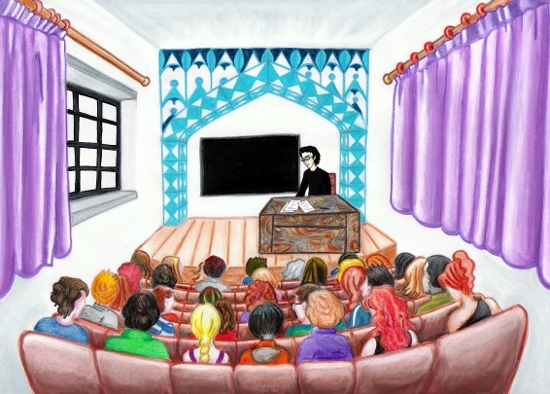 The Professor walked among the desks and started distributing the books. The students' hands reached avidly forward to receive the mysterious offer. "It's true! The book is weightless!" mentioned a student when receiving the book. "Look! If you leave it midair it just stays there floating like a hot air balloon!" and the student pushed the book around with one finger while it undulated without support. To Zulmiro, the book's weight was not the point he intended to focus on. However, before he could resume what he was about to say, someone raised a hand in the back of the classroom. "I am sorry Professor, but there is a mistake! My colleague's book has a different text on the same page." "Why did you look at your colleague's book?". "Because I wanted to find out if you had given him a better book." "There is no mistake whatsoever in the books' distribution and no student got a worse book. I have already told you that this book reflects the reader. Other books are a revelation of the author. Not this one. This book reveals you, your values and your mood. It adapts to each individual reader. Each page you make a decision and the fate of the story is altered accordingly." Students were surprised and at the same time confused. "How will know if we made the right decision?" one student asked. "It's like real life. You don't know." We have one of the books Zulmiro offered reserved for you! What will this book reveal about your personality? Will you choose the path of white or black magic? Or simply, will you opt for the path of your self interest? The choice is yours! Then, we have the game for you! We bring you exquisite storytelling and breathtaking episodes! 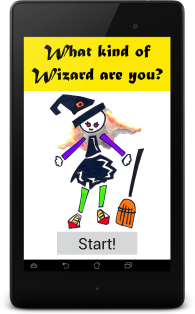 Help Adozinda make decisions on her path to become a great sorceress. Are you and adventurous spirit, such as Adozinda? Or a cold methodical scientist such as Fedra? Or a kind hearted intellectual, like Zulmiro? Or a natural born leader, such as Ivandra? Or are you a successful businessman swimming in money and gold, like Limoso? 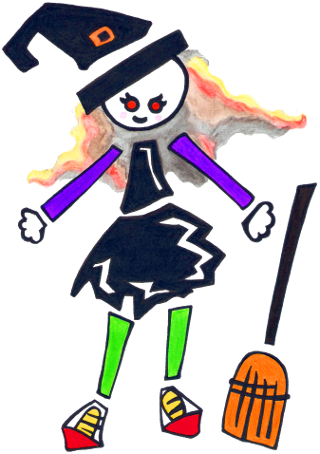 Are you feeling undecided about your way in witchcraft? Do you doubt about the next step to take on the winding path of magic? Are more into white or black magic? We can help you find the answer to these important questions! Find the answer to all your questions in this application. Wizards, ghosts filled with dubious intentions, angels in love with demons, monsters and first class extraordinary spells in a wizardry story of the modern times! You will find all of this, and still much more, in the new book Adozinda ? B for Back. The new book is available in the bookshop! We are pretty famous! Just check the cheer amount of news about us! The wise wizard studies the past, in order not to commit the same errors of old ages, while at the same time, looks boldly into the future. Specially for our authors, we have a new functionality that allows sending recommendations through email. It is an excellent opportunity to share your talent! Who knows if your next best-seller does not start right here in the School of Magic? You can check this new functionality at the base of Sorceress Assilem?s inspirational poem. Prepare your guest rooms! You can now invite all your friends to visit you at the castle. If you are about to prepare your next pajama party or merely a nice quiet afternoon cup of tea, you may invite your friends resorting to the button at the top of the bedroom. You can see an example of this button at Sorceress Paulinha?s nicely decorated room. We corrected a bug during the recovery of the password that was affecting our wizards with an Hotmail account. 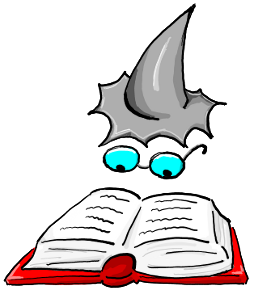 A bug was corrected in the publication of the wizard?s poems and stories. We also announce that the School of Magic was select as the winner of the Best Content for Kids ? 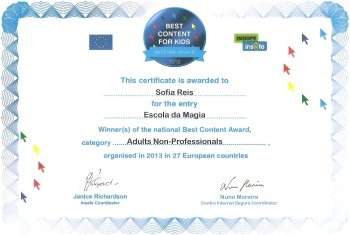 National Award contest promoted by Inhope, Insafe and by the European Union. We are grateful and happy with this award and take it as an encouragement to do even better during the next 2015! The School of Magic wishes a happy 2015 to all Wizards and Sorceresses! Let us all take our brooms and fly into a new year filled with happiness and success!